Dream Property! Custom contemporary home on extraordinary property w/vast views & ideal seclusion & privacy close to town. 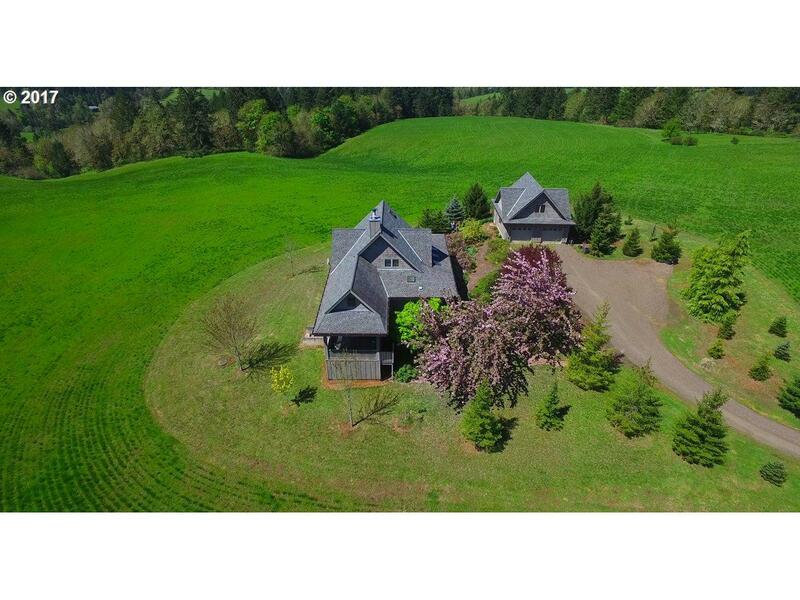 Usable farm ground ideal for vineyard (30acres), crops, horses & animals, trees & orchard or luxurious space. Exceptional quality and high-end amenities throughout. Garage upstairs can be finished for poss. studio, bonus or ?? Former home is highly useful outbuilding. Two Lg shops for equipment & multiple purposes.